Monday (9 August) was Women's Day here in South Africa which was doubly welcome because it was a public holiday. I was therefore able to go down to North Pier to see a very unusual ship and cargo entering the harbour [at 10am approx.]. The ship was the heavylift vessel Tern and her heavyweight cargo was three giant Liebherr gantry cranes destined for Durban's extremely busy container terminal. The cranes, at 100m high and weighing in at 1000 tons each, are currently the largest in the Southern Hemisphere and capable of handling the largest container ships now in use. That includes those vessels which are big to enter the harbour before the harbour mouth is widened. 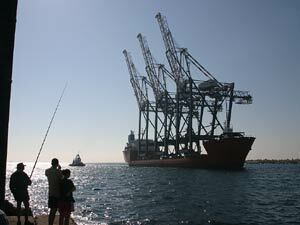 The cranes were bought by South African Port Operations from the Italian port of La Spezia for R180-million and are expected to be commissioned in September. 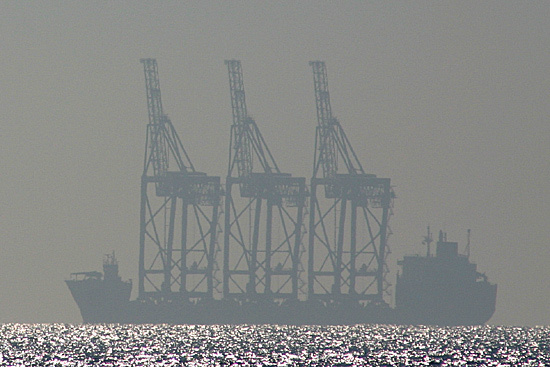 A vessel with an unusual sillouette appears off Durban. The pilot was taken out to the Tern to guide her into harbour. <== Click image for enlargement. In came the Tern and what an amazing sight she was. I took the picture from the end of North Pier. <== Click image for a wallpaper-sized (1024x768 pixels) enlargement. Tern moves past the Bluff with her attendant tugs, left, while the shot on the right shows her having turned into the bay, but dwarfing the buildings on the Point and the conventional shipping moored there. <== Click images to view enlargements. I'm midway through the trauma of moving this site to a place on the web which will cost a good deal less than where it was before. The site moved OK but there is a problem with mail. [Fixed 22.8.2004]. Today I've got a wonderful aerial picture for you showing much of Durban, including Stamford Hill Aerodrome in the foreground. The picture was apparently taken by Captain Steve Colvin through the cockpit window of his Short Empire Class flying boat which was on its way to land on Durban Bay, which can be seen in the distance [see here for details on the flying boats in Durban]. We haven't managed to date the picture yet and any help on that would be appreciated. 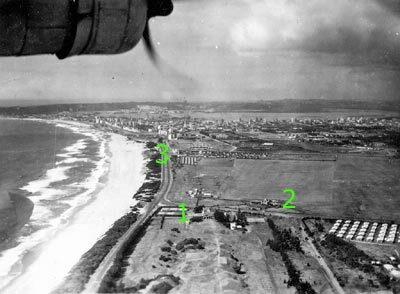 The picture shows the Country Club just to the right of the 1, the airport terminal building [now the headquarters of the Natal Mounted Rifles] to the left of the 2, and Natal Command to the right of the 3. Stamford Hill was a grass field which is why there are no runways visible behind the terminal building. The problem with my e-mail is thankfully now fixed and I hope that Facts and I are now settling in to a long and comfortable stay in our new web home. In the printed version of Facts I included a list of aeroplanes that have been called Durban. But now, thanks to John William Illsley's wonderful book In Southern Skies, I have discovered another one. 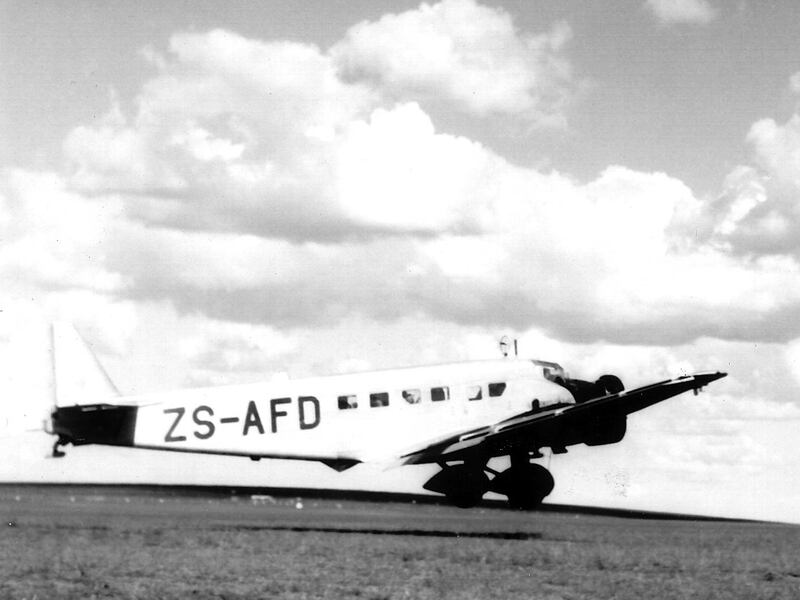 The aircraft was a Junkers Ju52 [ZS-AFD] which was named Sir Benjamin D'Urban after her delivery to South African Airways in June 1935. She was the fourth Ju52 in the SAA fleet and was fitted with 14 passenger seats and two bunks in the rear. Picture courtesy Transnet Heritage Foundation. Click images for wallpaper-sized enlargements (1024x768 pixels). Thanks go, once more, to Transnet Heritage Foundation librarian Eurika Deminey who supplied the picture. 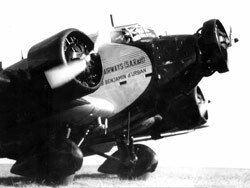 I would earnestly recommend In Southern Skies to anyone who has an interest in the history of aviation in Southern Africa. It is a fabulous work and I finally bought a copy [despite the fairly hefty price tag] after eyeing it covetously for six months in various bookstores. Reader Derek Walker has contributed this picture of the sailing ship Pogoria for my page of sailing ships which have visited Durban since the age of sail has officially been over. Click here or on the image to view an enlargement and some details on Pogoria. Derek Walker, incidentally, is the proprietor of the All At Sea website which has a lot of interesting South African maritime stuff, including history, and various other sections, including a nostalgia trip through 1970s South Africa and his experiences in the SADF during his stint of National Service. This is an appeal for information about the whale-spotting flights which were undertaken from Durban for many years. A feature of Durban's aviation history are the whale-spotting flights which took place from 1954 to 1975 during the offshore whaling season. 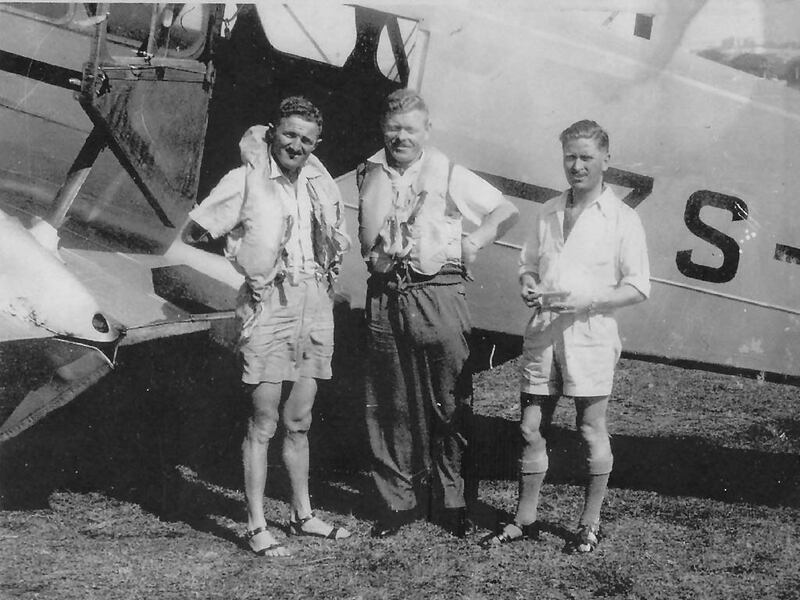 In front of the original Aircraft Operating Company [they also performed the first aerial survey of Durban] aeroplane which was used in spotting whales from the air are, from left, observers Sid Rowe and Abraham Larsen and pilot Ken Pinkerton. The aircraft operated from Stamford Hill Aerodrome in Durban. Two red and white Cessna 310H aircraft were later used and whale spotting flights continued until the end of the 1975 whaling season when whaling in Durban was halted. 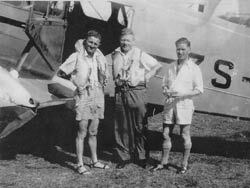 Anyone with information and pictures on the flights is asked to contact Allan. An article on the history of whaling in Durban is under preparation and will be published on this website when complete.